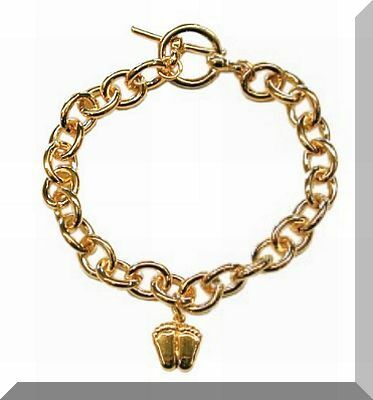 This Precious Feet Bracelet is available with a 14K Gold Electroplate finish and toggle closure. The feet charms are the size of a 10 week-old fetus. A great gift idea for a new mother or mother to be.